For over 60 years, Kismet Rubber Products has been a leading extruder of custom natural rubber products. 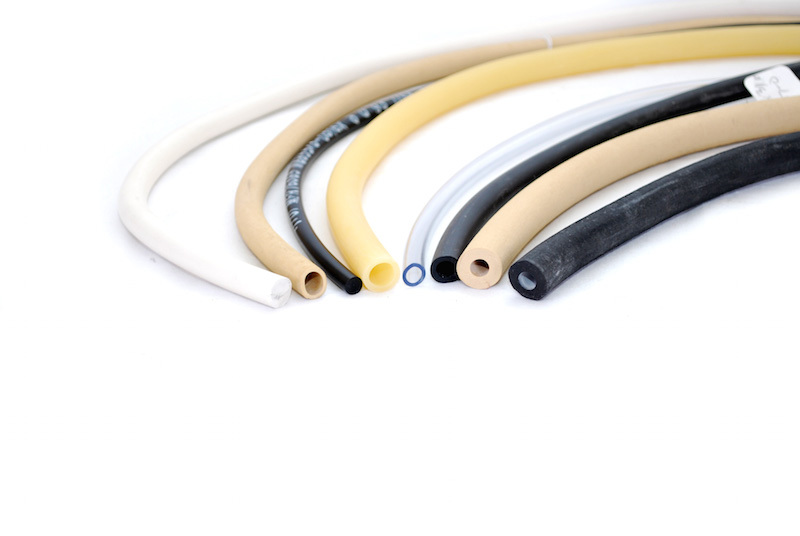 Manufactured from latex that is secreted from the Hevea tree, our natural rubber offers strong vibration absorption capabilities for non-hydraulic sealing applications. Until the invention of synthetic elastomers, natural rubber was the only polymer available to manufacture seals. The material offers high tensile strength, good friction surface and strong resilience properties. Also, it has high tear-resistance properties with excellent adhesion to metal surfaces. The ability to absorb vibration makes natural rubber ideal for use as dampeners. With resistance to organic acids and alcohols, it’s also found in food and beverage processing applications. Poor compression set performance at elevated temperatures and subpar petroleum-based fluid resistance limits natural rubber’s use. Allergic reactions from repeated contact make natural rubber not ideal for medical applications. With so many materials available, selecting the correct rubber for your application can be difficult. Find the best elastomeric solution for your process with assistance from our rubber experts. As an ISO 9001:2015 certified custom rubber extruder and service provider, Kismet Rubber Products strives to deliver the highest quality products to your facility without delay.